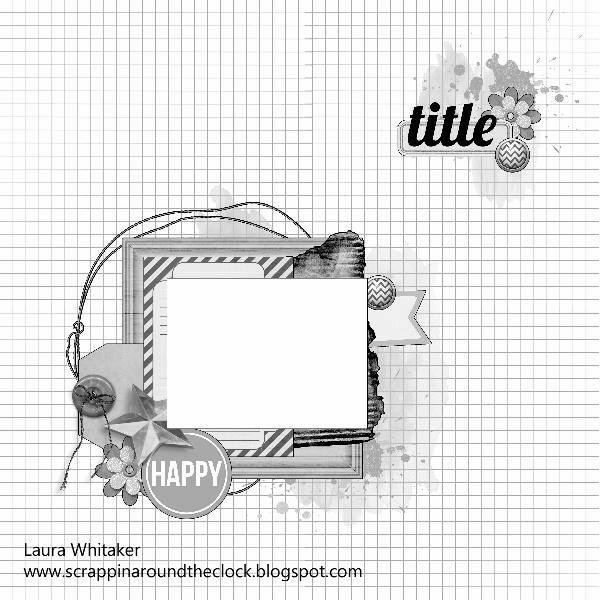 If you are looking for the Scrap Our Stash Guest post, please go here. Ohhh, I love this sketch so much! I can use it over and over and it will never look the same twice. Today I played around with layering beginning with the misted background I created using the JustNick Twilight Zone 1 cut file as a stencil. Next came some twine, vellum and a few pieces of paper. Lastly came the embellishment clusters. I started with the larger pieces, adding smaller pieces of various shapes and textures. I added some journaling near the title and that was it. Did you notice that I flipped the sketch too? Here I am making fun of myself again. Well, not really. I was celebrating. After surgery and 6 weeks in leg casts, my son got a surprise and they were removed a week early. I survived! Yes, ME. I survived the surgery, the recovery, the immobility, the driving to and from school, the additional lifting...all of it! I said I could handle it because it was 6 weeks for the rest of HIS life and I did. I knew it would be difficult and challenging and it was. So yes, it was indeed a happy day and I celebrated! Join this sketch challenge for your chance to win a prize from our sponsors Lindy's Stamp Gang and ShopEvalicious. This is so so petty, love the colours and elements and that fab photo of you!